on the other side of the sink? as it is looking out? I started writing poetry again after my sister Kathy died. My grief was deep and silent, and the first line of a poem would just be there in my mind rolling over and over again until I put it down on paper and watched, as if a bystander, where it would go. And then the season of loss began with a fury. My husband was part of a massive layoff after working for the same company since he was 17 years old. I lost my only client. Our kids encountered struggles that demanded diligence with school and sports and health. Our cars were rear-ended four times in the spring. Tangles with the police and new experiences with lawyers. And my mother fell in our backyard from a stoke after telling me childhood stories of mornings on a dairy farm and then as Jeff put it, in our southern colloquialism, she up and died. I could hardly catch my breath. And so I wrote poetry. I wrote poems about bookmarks and making pancakes. I wrote poems about silk slips and dinner conversations. I wrote poems about vintage sofas and a spider outside my kitchen window. Years have come and gone and still, I write. Yesterday I noticed the writing spider is back outside my kitchen window. I assume spiders only live for a season – so I am sure this is not the original spider that got me through that time of falling apart and loss. It was so odd. I hate spiders. Terrified of them. But that spider outside my kitchen window became myspider. I looked for her each morning as I wandered in and waited for the coffee to finish dripping into its pot. Maybe this is her great, great granddaughter – a descendent who feels it in her ancestral roots that outside this window is a pretty safe place to be. Of course, all spiders are female. (This is something that is only factual in my brain.) I am sure I feel this way from sitting mesmerized behind my little desk at Brushy Creek School as Mrs. Ogburn read to us after lunch each day the story of Charlotte’s Web. I hated when that story ended. I wrote the poem ‘Temporary Things’ with a sad, yet hopeful heart. My spider was a sign of things getting ready to change. And each morning, I wanted to hold on for just a bit longer. I felt alone going through that season – because of course, you are alone when you carry grief and loss in your hands. No one else can carry it for you. But somehow, I felt like that spider, sharing the same window view, knew some things about me and my life that perhaps others did not. And I knew it was all temporary; a season that would soon be gone. The boy would move out and on from college to a good place with his career and be found by a woman who loves him. My daughter would dash from soccer fields to marriage and a home of her own and momma-hood. My husband would find new things to create and build and still stand at the kitchen window at midnight washing the pots from dinner. About the fleeting of time and the temporary nature of life; of grass withering and flowers falling (Isaiah 40:6-8). Or I could quote the wisdom of building your life on solid rock and a firm foundation (Matthew 7:24-27). But today it is the lyrics of a song that bring me comfort. When our daughter married, her wedding was a ‘do-it-yourself’ sort of affair. We treated it like a film shoot. With a four-month timetable, we set up camp at the dining room table and with much help from friends and family, mapped out her wedding and reception in field and barn, with barbecue delivered and flowers from people’s gardens and cakes from wedding guests’ kitchens and wedding vows said over them by the same pastor who had prayed with my son-in-law-to-be to accept Jesus as his Lord and Savior. My daughter wanted her Dad to dance with her on her wedding night, and Jeff chose the song, Hammer and Nails. I would have never thought of this one. But it was perfect. Because that is what it takes to hold life together: hammer and nails. 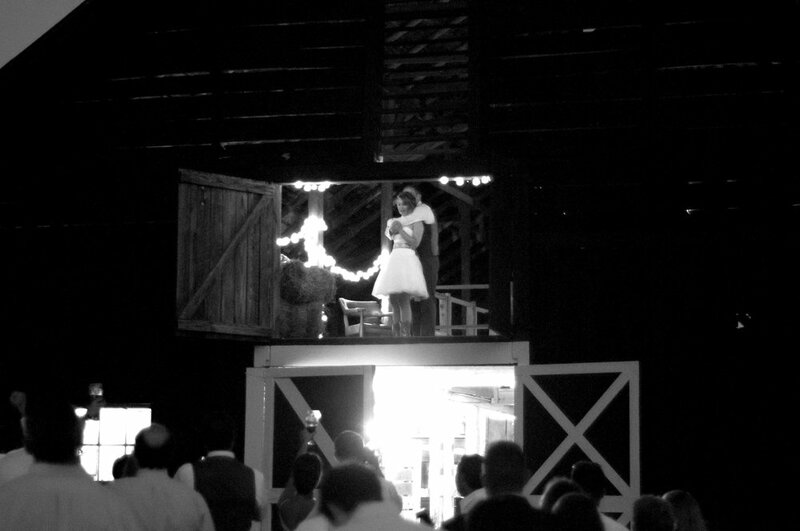 It happened that on the night of the wedding, as Jeff and I watched them take their first dance from the barn loft overhead, that Jeff decided this night belonged to them alone – together. So her dad didn’t dance with her on that night. 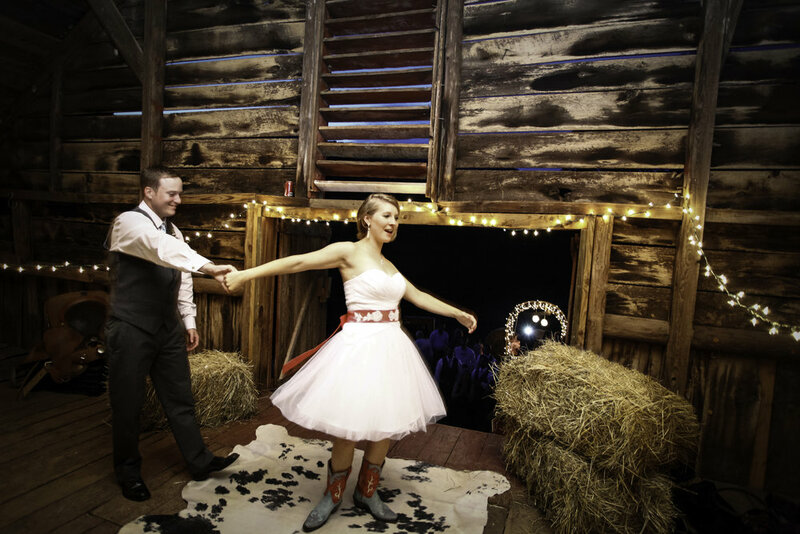 She danced with the new man in her life: her husband. But the rock-solid advice he was giving her in that song continues to sing true. Circumstances that come your way in life are temporary. The lost jobs and car wrecks and illnesses and even the pain of death, are all temporary. These are the storms, the seasons that blow into your life; but their season is numbered, temporary. What lasts, what withstands the gale force winds of the storm, is what you build together as family. So this is my advice, my hope, my prayer for you. Hold on. Build your love together with hammer and nails. Don’t let go. Through the tears and hardships, hang on tight. These trials and tribulations are temporary things as long as you are holding on to the people you love.